Richard M. Gardella concentrates his practice in the areas of municipal and land use law, and appellate litigation. 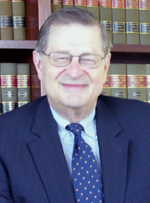 He served as Village Attorney for the Village of Scarsdale from 1983 to 1999 and as Corporation Counsel for the City of Rye from 1981 to 1999. He also has served as an assistant corporation counsel and later as a special counsel for the City of White Plains. A former journalist, Mr. Gardella is editor-in-chief of Westchester Lawyer, the monthly magazine of the Westchester County Bar Association, the ABA’s State and Local Government Law Section as well as the ABA Center for Professional Responsibility.